Cynthia Rice, who serves as MiraCosta College’s Associate Vice President of Institutional Advancement, has been honored by the City of Oceanside with its 2019 Dr. Martin Luther King Jr. Community Service Award. Rice was celebrated at the annual Dr. Martin Luther King Jr. prayer breakfast on January 21. Recipients of the award must be a resident of Oceanside or a member of the military stationed at Camp Pendleton who is an active volunteer devoted to community service benefiting Oceanside residents and who exemplify the philosophy and ideals of the late civil rights icon. Rice has long been an active volunteer, not only at MiraCosta College, but through her church and various nonprofit organizations, including the North County African American Women’s Organization and the North San Diego County NAACP. She is a passionate ambassador for affordable higher education and a relentless advocate of equity, and she is known for going out of her way to help others identify their strengths and identify opportunities to positively impact their community. 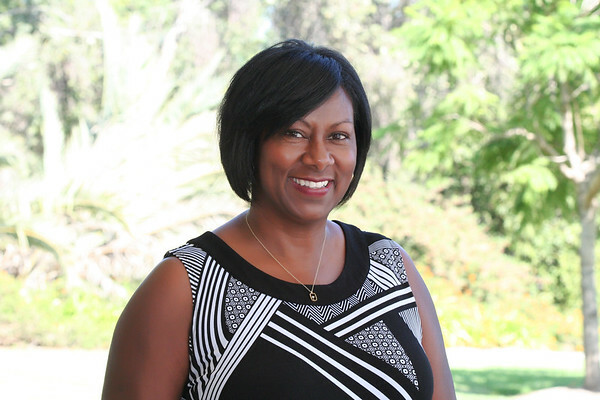 A former Associate Dean of Student Services at MiraCosta College’s San Elijo Campus, Rice was named MiraCosta College’s first Associate Vice President of Institutional Advancement in July of 2017, a position that gave her direct oversight of the MiraCosta College Foundation, governmental affairs and advocacy, and college public relations and marketing. Rice earned a bachelor’s degree in interdisciplinary studies from National University and a master’s degree in international relations, with an emphasis in peace and conflict studies, from Alliant International University, which was called United States International University at the time. She first came to MiraCosta College in 1991 to start the Institute for International Perspectives. She also served for a while as director of educational programs at the Carter Center in Atlanta before returning to MiraCosta in 2011. This is the latest of numerous recognitions. Among Rice’s previous honors was the North San Diego County NAACP’s Salute to Women of Color Award and the NAACP President’s Award.